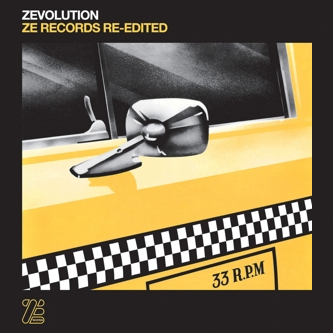 The legendary NYC Disco and No Wave imprint Ze Records opens up its cherished catalogue to the likes of the Idjut Boys, Rub 'n Tug, and Greg Wilson for an incredible feast of edits and remixes giving new life to an awesome body of music. Idjut Boys are tasked with editing Kid Creole & The Coconts 'I'm Corrupt', while Humberto Matias' Social Disco Club and Todd Terje provide respective edits of Gichy Dan's 'Beachwood No.9'. Easily the biggest highlight here has to be Bill Brewster's Fat Camp version of Scritti Politti's David Gamson on 'No Turn On Red', while Richard Sen's Padded Cell edit of James White & The Blacks' 'Almost Black' comes a close second and the Luke Howard & Felix Dickinson Filthy & Foolish edit of Aural Exciters 'Spooks In Space' gets an honorable mention. Greg Wilson provides a surefire mix of Was (Not Was)'s 'Tell Me That I'm Dreaming' and there's more Grade A goodies from Don Armando's Seventh Avenue Rhumba Band remixed by Pilooski and Garcons' 'Encore L'Amore' thoroughly redone by Leo Zero. We're just waiting for the vinyl version! Excellent set, thoroughly recommended!